Do you hear the whispers in the night...the tugging...the longing for something greater? If of Dunmeri heritage, does something feel...wrong about your Gods. You've heard of the "heresies" of Ashlanders, wondered, but never dare ask? 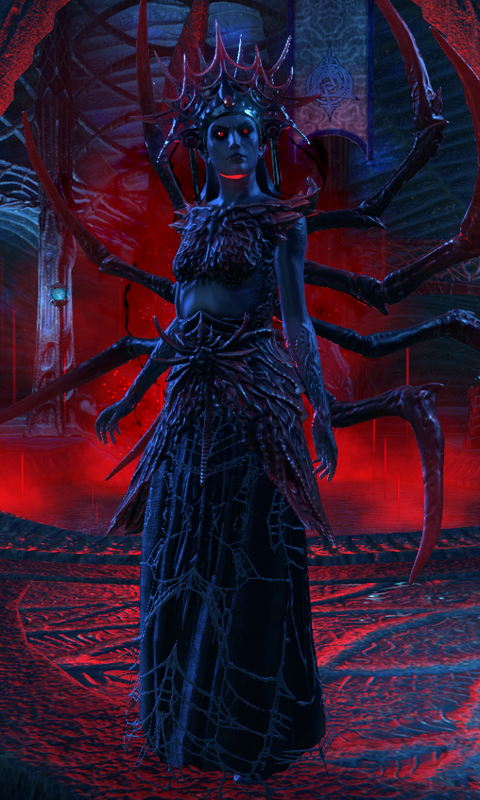 Spindle of Mephala is a guild formed three years ago, focused then when factions were fragmented in the Ebonheart Pact, though our reach and activities now span far and wide across Tamriel, with little interest in the war, save for how it may be manipulated to the Webspinner's ends. Having been inactive for a time, we've been experiencing strong regrowth, hold events regularly and are looking to expand further. We differ from the typical Daedric "cult", considering ourselves the exiled followers of the rightful Velothi faith of Morrowind, also welcoming followers of Azura and Boethiah. 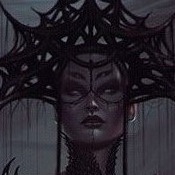 Led by an Ashlands-trained "priestess" of Mephala versed in the pre-Tribunal ways of the Chimer, we reject the "Widow" leadership of common Mephala cults, seeing such as beneath our noble heritage. Our leaders are spiritual guides and seek to foster your own understanding of the complex weave of Mephala, firm when needed but not tyrannical. Seeking power for one's own ends is a hallmark of the House of Troubles, and has been the downfall of many Mephala sects. We operate from the shadows, quietly placing seeds of discord, severing the strands she beckons be removed from the weave, fostering and joning those she deems have a role to play. Operating from a long-lost, Velothi era shrine to Mephala somewhere in Morrowind, we carry out the ancient rituals, and seek knowledge lost to the Dunmer, or suppressed by the false Tribunal. Secret knowledge in all its forms holds the greatest value to Her, and we will travel far, infiltrate, and scour the land for the lost and forgotten, that which is only spoken in whisper. Our community OOC is friendly and welcoming, and while our general theme is along Dunmer lines, many of our members are non-Dunmer and we hold no prejudice against any race (except possibly ICly Argonians, which can be overcome easily enough). Alll whom feel the call of Mephala or the other Good Daedra deserve not only to serve, but to be enlightened and awakened to the true nature of Nirn and the all encompassing weave. Our activities vary greatly, with storyline threads seeking to plant the seeds of discord, among the Tribunal faithful and elsewhere, elaborate preparation for rituals, infiltration, assassination, and pondering Her many mysteries over sujamma. If you are searching and feel the call of something more, you will find a home among us. We'd warmly welcome those drawn to the other good Daedra, Azura and Boethiah. Visit mephala.enjin.com to apply directly or join our Discord. You can also message @Sherethys in game. May the Webspinner forever guide your blades. Call me "Webspinner". Pluck but a single thread, and the weave unravels. This person is an amazing Mephalan roleplayer! If you dig Mephala, you should totally apply. No small compliment. I find myself simply unable to complete the Spiral Skein part of the Psijic Chain. I know I don't be able to get back, but it's solo phased and useless for RP. Still...home at least for Sher. I wanna know WTF the Ritemaster is doing just opening portals there, lore says Skein is "shrouded to mortals". I guess it could be one of the outer, less-shrouded planes, definitely not the Pillar Palace and Ritemaster Iachesis is said to have power nearly on par with Sotha Sil.